This shingle & stone riverfront home is located at 1850 River Ridge Road in Hudson, Wisconsin and is situated on 1.6 acres of land. It comes with a barely used 2015 911 Porsche Carrera S! 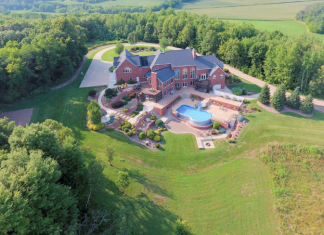 This brick & stone home is located at 19655 Heron Pass in Brookfield, Wisconsin and is situated on nearly 1 acre of land. 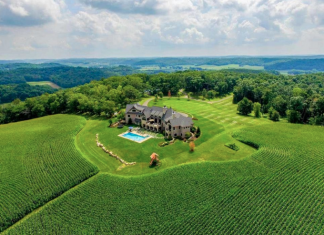 This stone mansion is located at 4735 Fonda Fields Court in Oneida, Wisconsin and is situated on 2.7 acres of land.